Childhood of a Circle from Kadavre Exquis on Vimeo. Childhood of A Circle is an endearing tale about Archibald and his curious journey through exquisite landscapes as he searches for a circle. 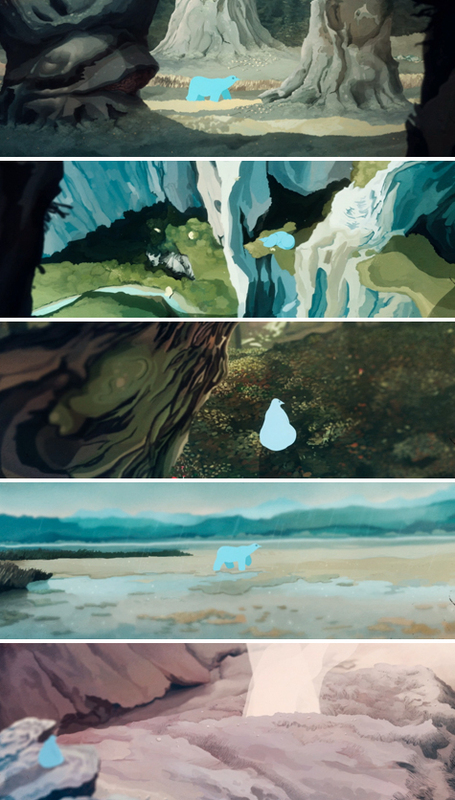 I've been watching it over and over again, mesmerized by the beautiful backgrounds. Created by Kadavre Exquis. Happy Friday! I love it! They did a great job of combining a modern feeling with the vintage-feeling soundtrack.